A recent Forbes study indicated 81% of Millennials expect brands to go above and beyond simply generating content and make efforts to improve their communities. This can have a major impact on brand loyalty as consumers are increasingly likely to support brands that act as drivers of change and become active in their communities. Nearly 66% of consumers are willing to pay extra for products and services that come from brands committed to a positive social and environmental impact. Incorporating corporate social responsibility initiatives as part of your loyalty offering improves the customer experience you offer. 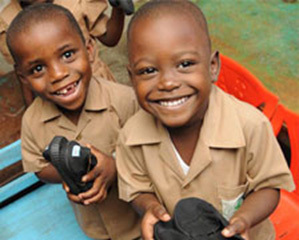 EXAMPLE: TOMS Passport Rewards program offers loyalty members the option to redeem points for a donation to a charitable cause or initiative. For example, members can redeem points for a $25 donation to help TOMS support U.S.-based after-school groups and community development programs. This option creates goodwill and fosters an emotional connection to the brand. Learn More about what the U.S. Consumer Expects from Brands and Their Loyalty Programs in our Free Ebook. Click below to download.